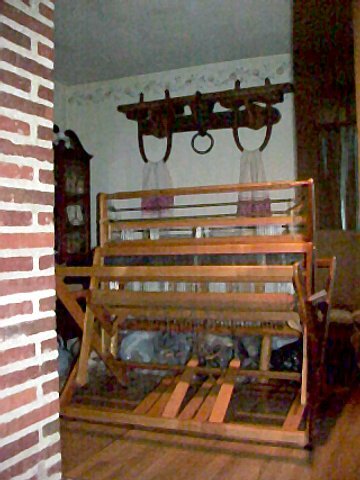 The 48 inch antique jack loom was discovered by my wife in the early 1990's. It was covetousness at first site for her. What makes the loom so unique is that it was made it Portland, Oregon during that era when looms were just fading out of popular usage. 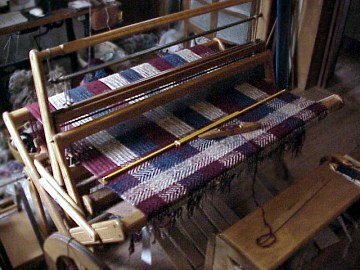 This loom is very well made. It has many wonderful features. For one it can fold up and be placed in a corner of our small cottage. Secondly it sports a 45 inch reed for wider weaving projects.